The ranking Democrat on the Senate Homeland Security and Governmental Affairs Committee has released a report tracing payments from major opioid drug makers to third party advocacy groups that have promoted the use of painkillers. Sen. Claire McCaskill (D-Mo.) says her report describes how drug makers have invested heavily in third party organizations that serve as pro-opioid advocacy groups. The report says these groups have issued guidance minimizing the risks of opioid addiction and endorsed opioid use for the long-term treatment of chronic pain. Misuse of opioid painkillers has become a serious health issue in the U.S. over the last decade. According to the Pew Charitable Trust, almost 33,000 Americans died from an opioid overdose in 2015 -- nearly half from prescription opioids. Last fall 39 state attorneys general signed a letter to Congressional leaders urging support of legislation increasing consumers' access to drug addiction treatment. “As state attorneys general, our offices are on the frontlines of the opioid epidemic. We write today in bipartisan support of HR 2938 (“Road to Recovery Act”), which will expand a key tool in this battle,” the attorneys general said. Using her position of a key Senate committee, McCaskill says she is looking into the financial relationships between the pharmaceutical companies that make powerful painkillers and the doctors and organizations that have defended and promoted their use. “The pharmaceutical industry spent a generation downplaying the risks of opioid addiction and trying to expand their customer base for these incredibly dangerous medications and this report makes clear they made investments in third-party organizations that could further those goals,” McCaskill said. 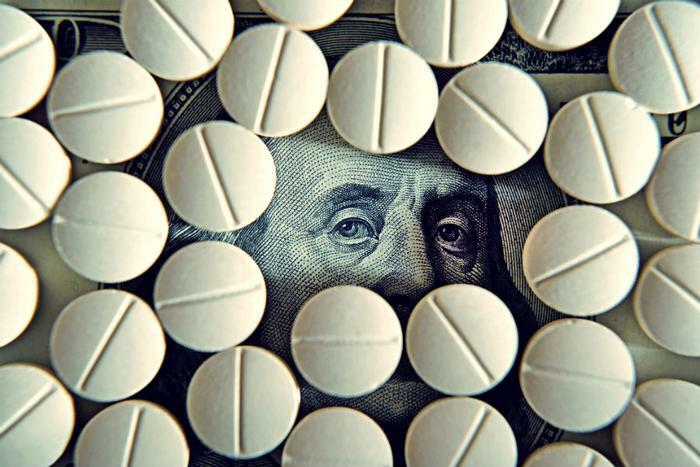 The report contends that five major opioid manufacturers contributed nearly $9 million to 14 third party advocacy organizations over a five-year period. It logs another $1.6 million in payments to doctors affiliated with these groups between 2013 and the present. A number of opioid manufacturers face lawsuits from cities and states that say the opioid addiction crisis is taking a huge human and financial toll on their resources. Last summer, Ohio Attorney General Mike DeWine sued five major opioid manufacturers. He accused the drug companies of engaging in fraudulent marketing of drugs by minimizing the risks and inflating the benefits of prescription opioids. The state of New York settled a similar lawsuit against two opioid drug manufacturers in 2016. Earlier this month, the Cherokee Nation sued several companies involved in making, distributing, and selling opioid painkillers.